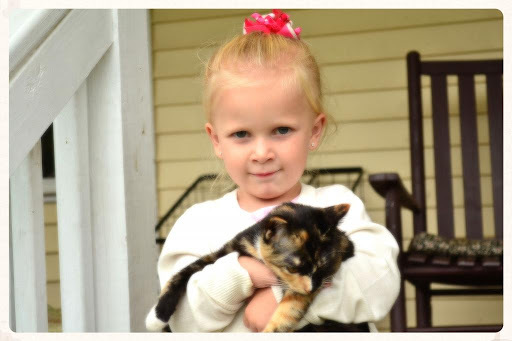 Pretty little girl, and pretty little kitty! She's getting so big!!! Great photo!